Nisolo founders Zoe Cleary and Patrick Woodyard in Peru. “To push the fashion industry in a more sustainable direction - where success is based on more than just offering the cheapest price - a direction that not only values exceptional design, but the producer and the planet just as much as the end consumer.” This is the vision of socially conscious lifestyle brand Nisolo. The Nashville-based company works directly with artisans in the developing world to bring their leather products to a global audience, while simultaneously striving to improve their quality of life. Founded by Patrick Woodyard, who originally trained for a career in micro-finance and development economics, and Zoe Cleary, a fashion industry professional who has worked at Bergdorf Goodman and Aeropostale, the idea behind the company first came to Woodyard in 2011. As part of his studies, he spent time in developing countries working with small-scale entrepreneurs, and it was speaking with a shoemaker’s wife in Trujillo, Peru, whose husband was struggling financially, that served as the inspiration behind the e-commerce site, which today allows local shoemakers to bring their shoes to a global market. While increasingly, brands today talk of their “responsible” supply chains, Woodyard felt that it would actually be difficult for many to guarantee exactly how their products are made, because they don’t own their factories and rarely visit them, so he decided that the only solution was to build his own. “We realized that the only way that we could feel confident about our ability to ensure not only the quality of the shoes, but also how the workers were treated, what they were paid, and what their work environment was like, was to start our own factory,” he told the Fast Company’s Elizabeth Segran. So he set up a large-scale operation in Trujillo, which today is staffed by 100 local shoemakers who earn on average 33% higher than fair trade wage requirements, receive paid holiday and access to company-funded healthcare, and are also offered help with financial literacy. 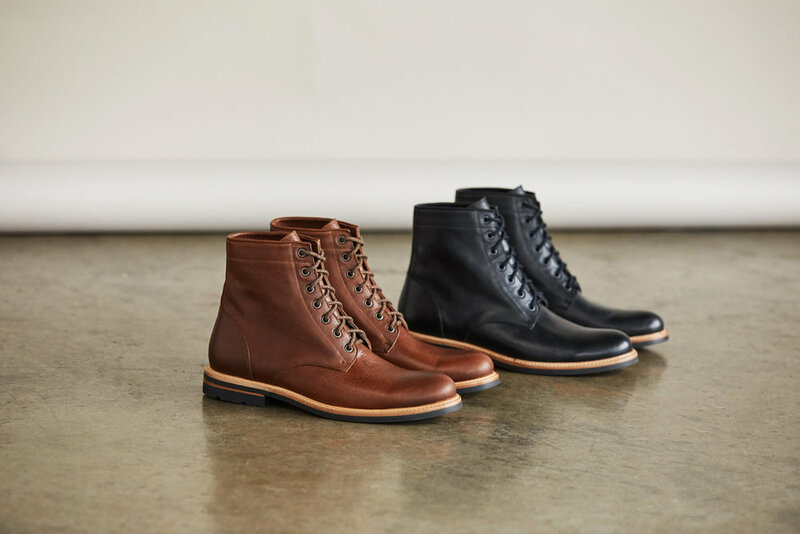 Since setting up the factory in Trujillo, Woodyard and Cleary have exported the Nisolo model further afield, partnering with four ethical factories in Leon, Mexico, to make shoes and leather accessories, and another 11-person artisan workshop in Nairobi, Kenya, which makes shoes and jewelry. The company is also working closely with small, independent artisans to help them grow their businesses and production capabilities. The relationships they build are all on a direct-to-consumer basis, so that they can not only offer a fair price to consumers, but ensure producers in the supply chain are offered beyond fair trade wages, plus associated benefits, as well as a healthy working environment. Nisolo 'Andres' All-Weather Boots - the company’s first water-resistant style that features natural oil-based and vegetable-tanned leather. Nisolo responsibly sources its leather from tanneries committed to the ethical treatment of animals – and always a by-product of the meat industry - as well as the implementation of eco-friendly waste disposal systems. It is also committed to working under a circular fashion model and encourages its customers to send in their gently worn and used shoes for donation to Soles4Souls, a Nashville-based non-profit that creates sustainable jobs and provides relief through the distribution of shoes and clothing around the world.